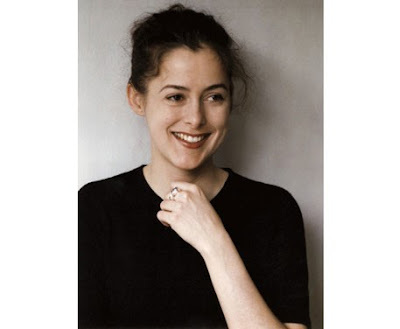 This week we honor Amanda Hesser, # 22 on the 50 Women Game Changers in Food list. I have been a fan of the blog co-founded by Amanda, FOOD52, for a while now. It is a one stop smorgasbord of food news, recipes, shopping, articles about upcoming new chefs, and they even have a hotline in case you have any questions about one of their recipes. She has written for The Washington Post, The New York Times (from 1997 through February of this year), and is currently a staff writer for The New Yorker. She has written several books among them The Essential New York Times Cookbook, and the recently published The Food 52 Cookbook. My kids influenced this week's pick, Chocolate Pudding, it is truly a chocoholic's dream. Put the egg yolks and tapioca flour in a blender and blend on low speed until a light-colored paste forms. Combine the sugar, cream, milk, salt, and vanilla in a saucepan set over medium heat. Bring the mixture to a boil, then remove it from the heat. Turn the blender containing the egg and tapioca mixture back on low. Quickly and carefully, pour the hot milk mixture into the blender and increase the speed to medium. The heat will cook the egg yolks and allow the tapioca to thicken to the consistency of thick mayonnaise. With the blender running add the chocolate in stages so it is emulsified into the pudding. When all the chocolate is added, strain the pudding into a serving bowl (or 3 to 4 serving bowls) and let it cool to room temperature before transferring to the refrigerator to cool completely. Top with whipped cream if you like. Mmmm! When I was a kid, chocolate pudding was one of my favorite cozy desserts! My brother and I always loved trying to peel the skin off the top of the pudding in one glorious piece! Yum! Thanks for this food memory! That pudding looks wonderful!